It seems absurd to say, but just crossing the border from Italy to France, changes so many things. One emerges on the other side of the Mont Blanc tunnel and everything is different: the air, the language, the landscape, the driving habits and the mindset. Oh, and did I mention the woven hats and bags? So it is, my friends. And so it is. Here in France, I tend towards all-things-woven. Laundry is carted back and forth in a woven basket. The growing pile of vacation books lounges in a woven baby carriage. I love woven things in Milan too, but they don’t insinuate themselves into daily life there the way they do here. Going to the market, the butcher, the baker? 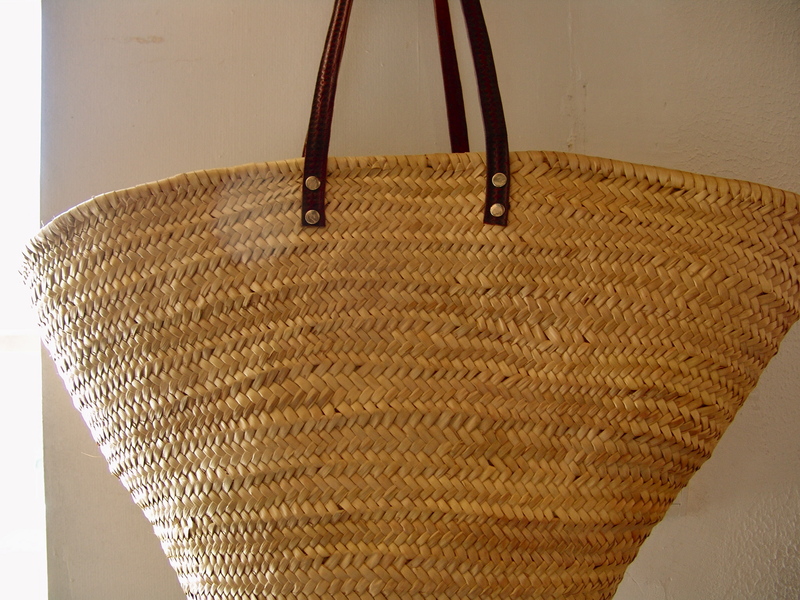 Carry your woven shopping bag. Going out on a sunny day? Take that wide brimmed hat. It’s better than Prozac. I don’t know why, but it’s transformative. You-in-your-hat is not the same person as you-not-in-your-hat. And as with so many other small details, already discussed, there’s that “melding with the past” factor that’s so important. I’m not talking retro, I’m talking: why change? How can you design a hat better than that? A bag better than that? How could it look better hanging on the wall, or left—casually—on the kitchen table? NOTE: Don’t be fooled by the bag’s breezy attitude; this thing can haul a metric ton of artichokes back from the open-air market, which is where, by the way, you (under the reassuring shade of your wide-brimmed woven hat) will be likely to find one. 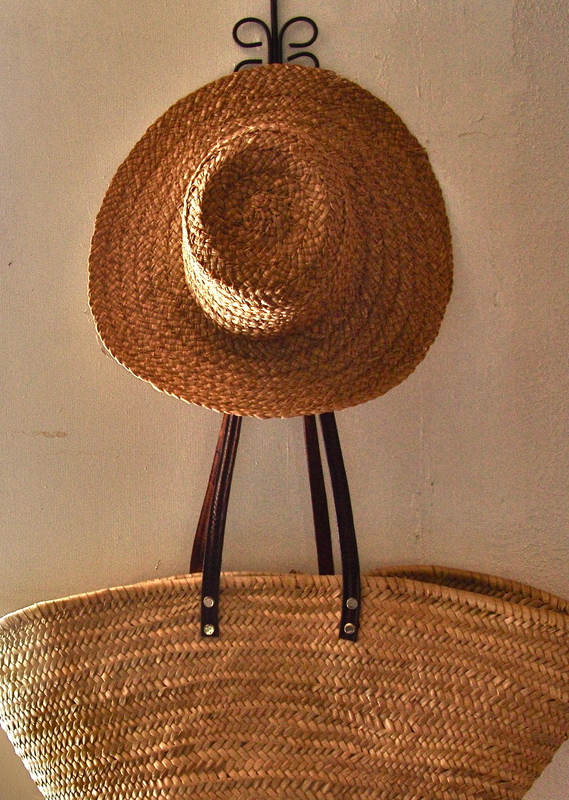 This entry was posted in FRANCE, WHAT WE WEAR and tagged accessories, bags, Bourgogne, Burgundy, France, hats, Woven. Bookmark the permalink.